Looking for the best price on the Nikon D3300? Congratulations, you've come to the right place! 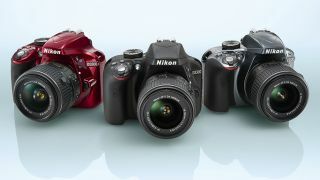 The Nikon D3300 is one of the very best entry-level cameras you can buy right now, thanks to its ease of use, quality results and its low price. Furthermore, thanks to its Guide mode, anyone can get up and running without needing to turn to the manual. The D3300 offers users a 24.2MP APS-C sensor, which is more than enough for wall-worthy enlargements, together with Nikon's EXPEED 4 processing power. This is supported by 11 AF points, a 3in LCD screen with a 921k-dot resolution, and a range of Picture Controls that let you switch between different colour options and styles to suit whatever it is you're shooting. For a camera aimed at a novice user, it even holds a few surprises. Nikon has, for example, chosen to drop the optical low-pass filter from the front of the sensor, which is excellent news as it means images will show more detail than usual. 5fps burst shooting is also strong for such a camera, and means that you can capture the perfect shot of a subject in motion. You can even plug a stereo microphone into the camera if you want to improve on audio quality when recording videos, which is surprising to find on such an affordable body. Understandably on such a model, we don't get 4K video recording, but we do get the next best thing: Full HD video to 60p. And, of course, as a camera from a highly respected system, the Nikon D3300 is compatible with an exhaustive range of lenses, from simple everyday optics to super-telephoto and exotic Perspective Control types. You also have access to many accessories, from powerful flashguns right down to a wireless adaptor. Looking for the best price on the Nikon D3300? Simply scroll on down.